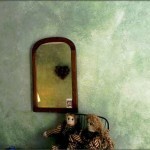 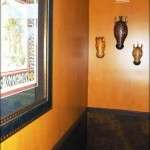 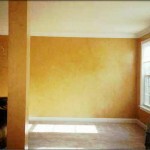 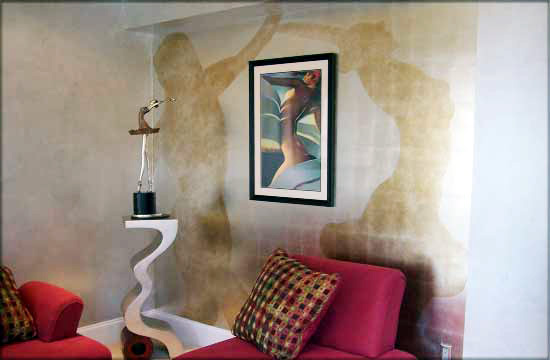 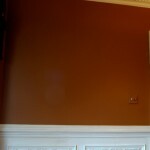 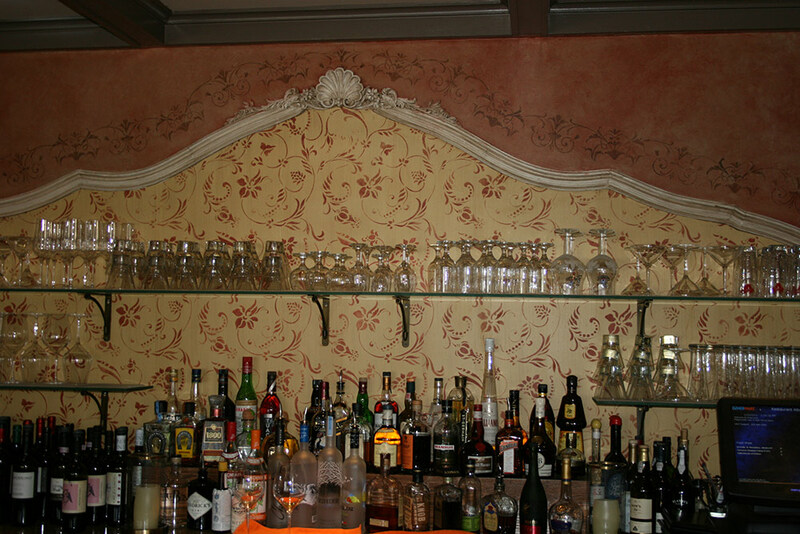 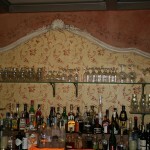 The sepia tone murals were painted over the pearlized walls. 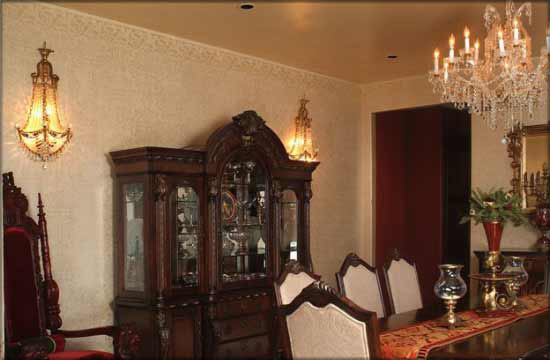 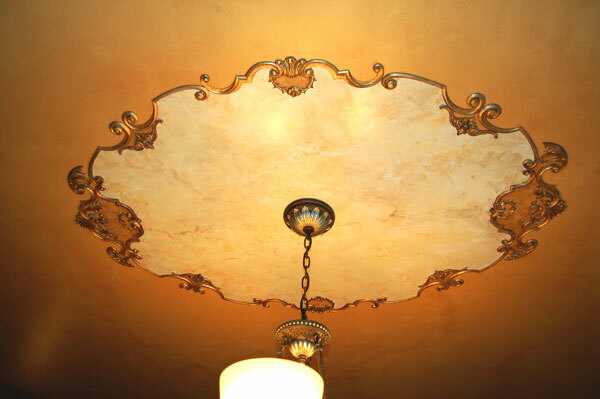 Stenciling and Ornamentation plus Mottled Overglazing in Restaurant ALBA, Malvern PA.
We offer a diversified selection of finishes, faux finishes and faux marble finishes for walls, ceilings, floors, furniture, doors, trims and floor cloths. 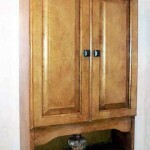 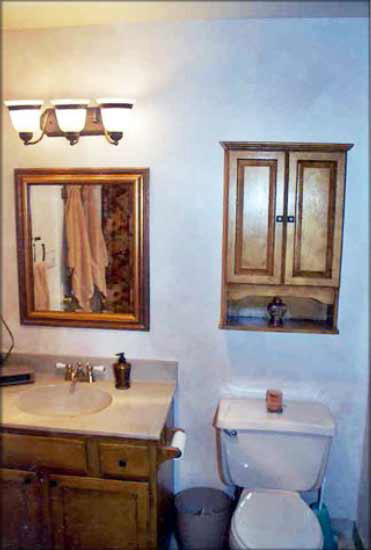 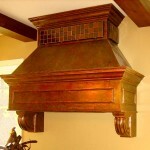 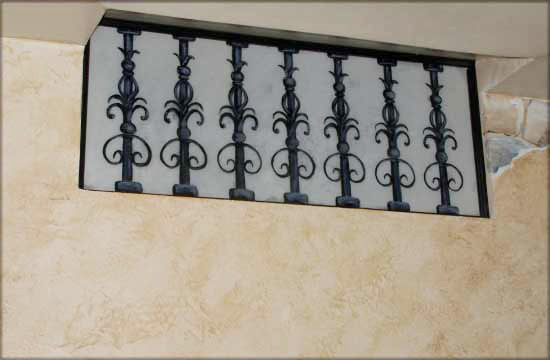 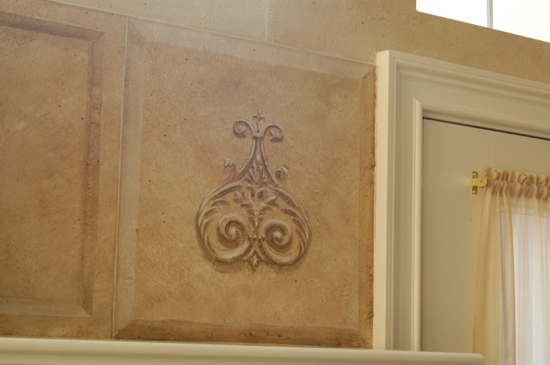 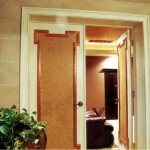 We can customize a finish to your specific needs and décor or you may choose from a variety of our stock finishes. 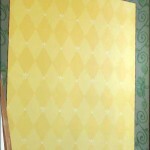 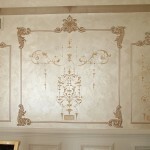 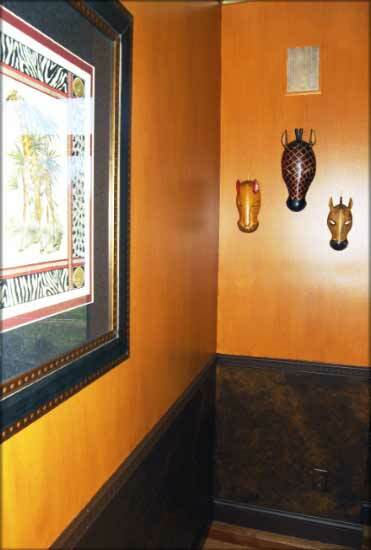 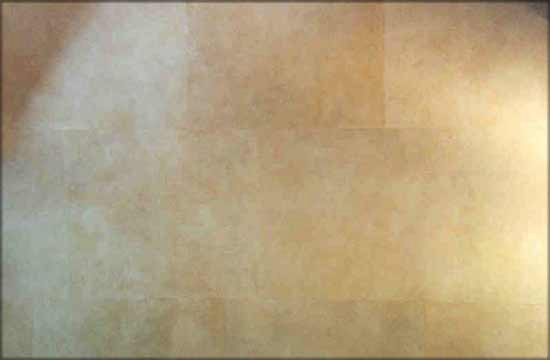 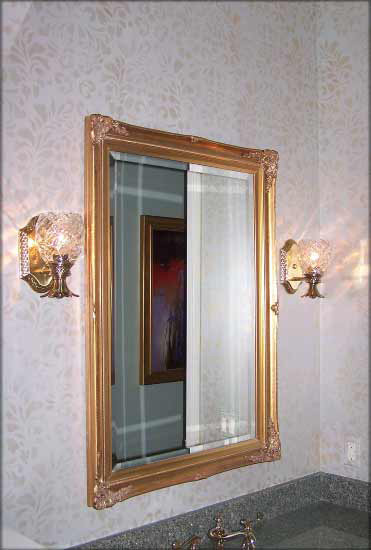 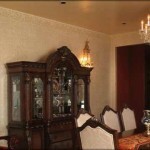 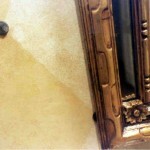 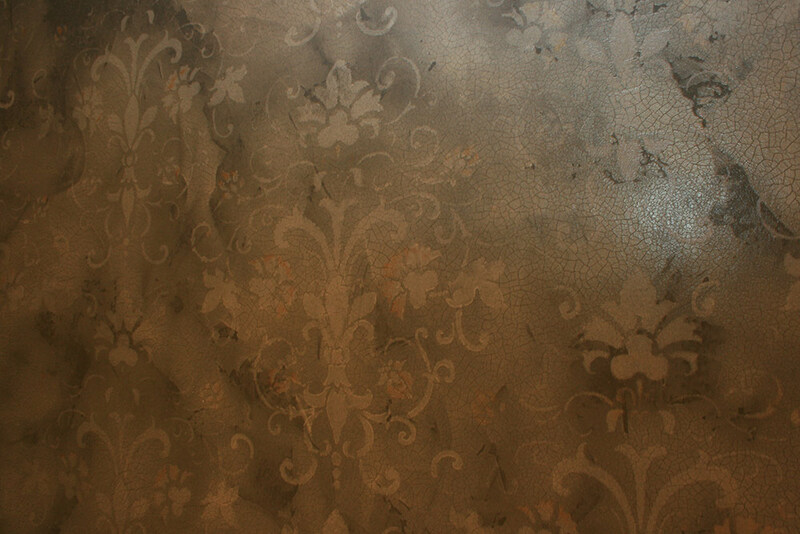 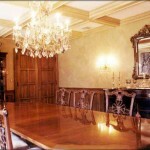 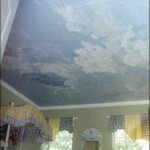 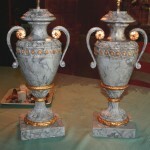 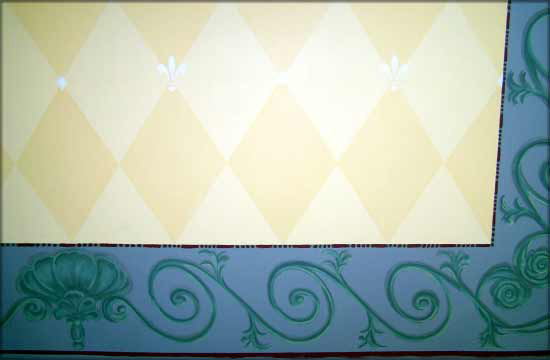 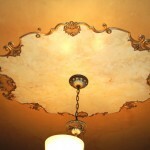 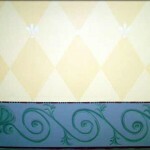 We offer faux finishes, faux marble, parchment, leather, elephant or rhino skin, broken color work, full overlay damask stenciling plus custom stenciling, mica powder finishes, frottage, strie, moiré, linen, limestone, sandstone, water, clouds, tri-color glazing, color wash, wax resist, many old world wall finishes and textures, aged patina, mottled over glaze and so many combinations to numerous to list. 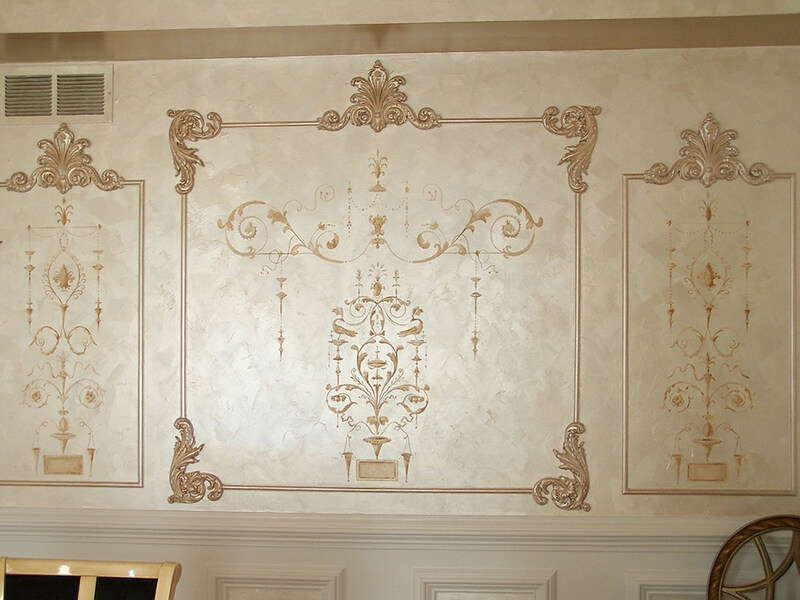 We also offer a range of textures and plasters including Venetian plaster, Terra, Marmarino, Venetiano, Luster Stone, Bellissimo, Venetian Gem, all with options for embedded stenciling. 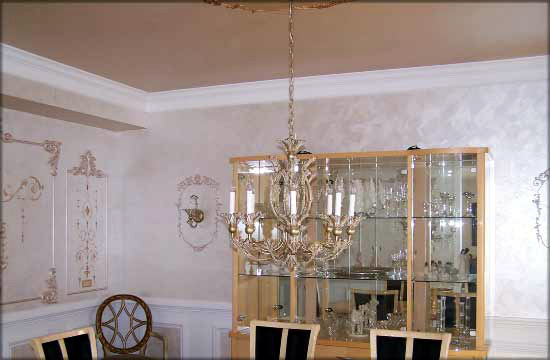 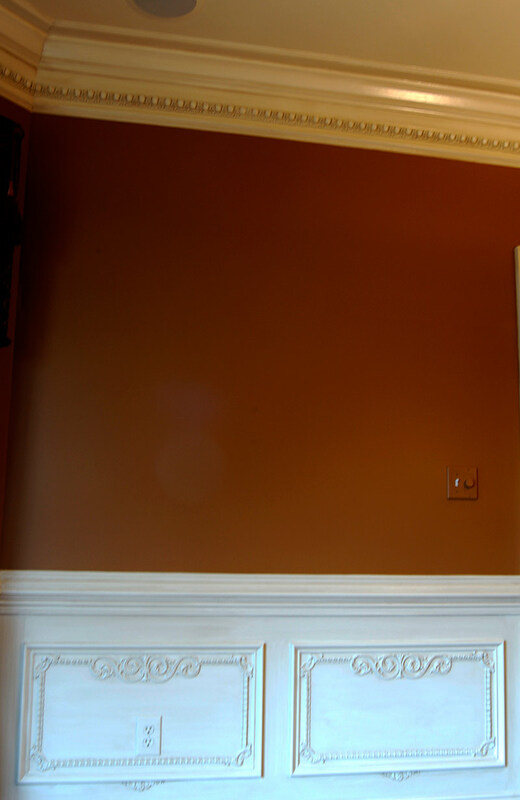 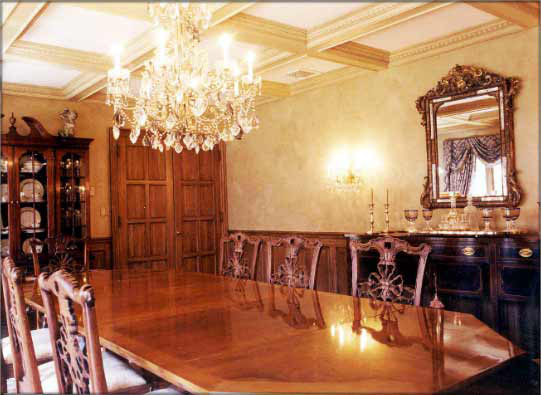 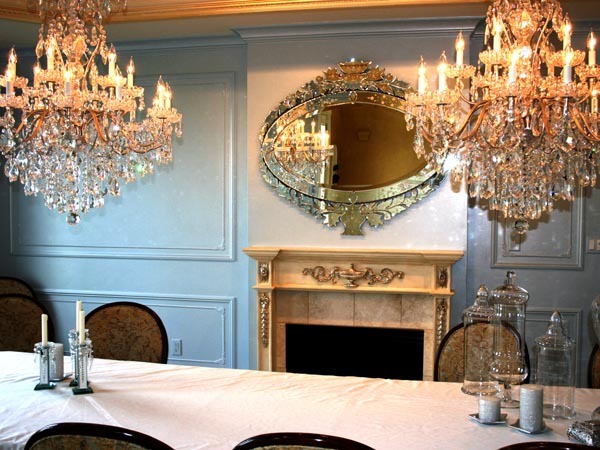 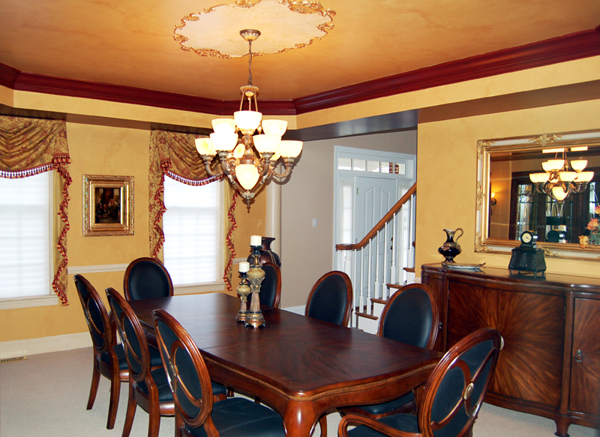 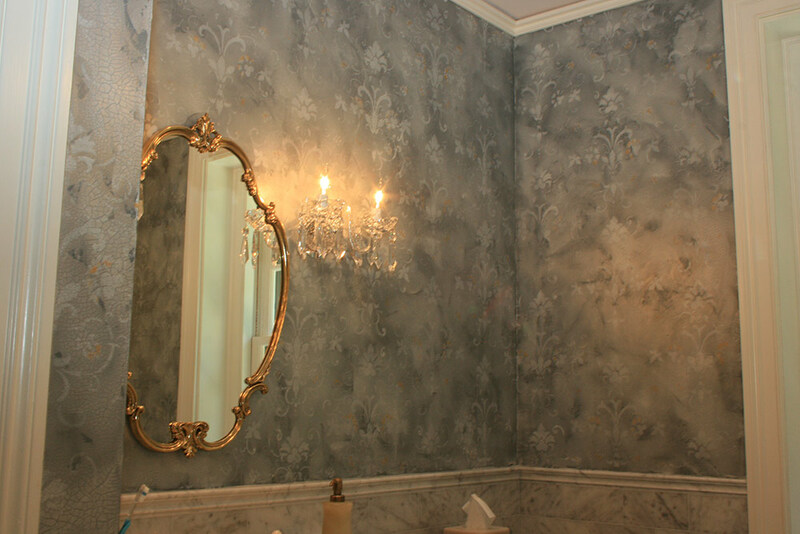 At Colkett Painting, we can match finishes as well as which you already have on the items in your Bucks County,Montgomery County or Delaware County home or office (chandeliers, wallpapers, furniture etc.) 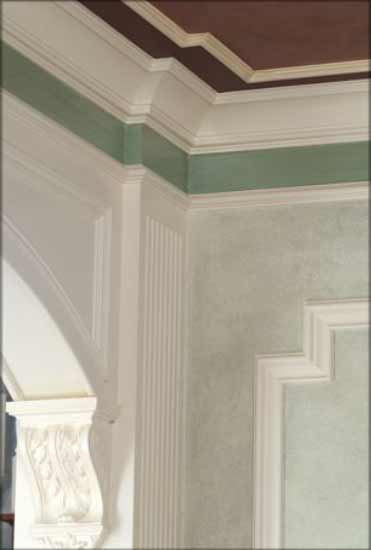 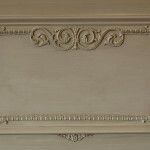 onto additional moldings or composition ornament which we also install. 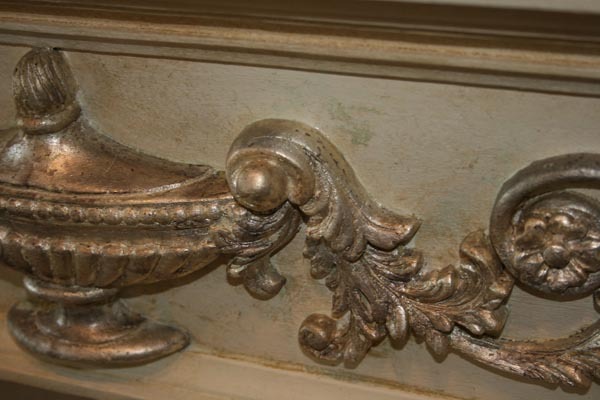 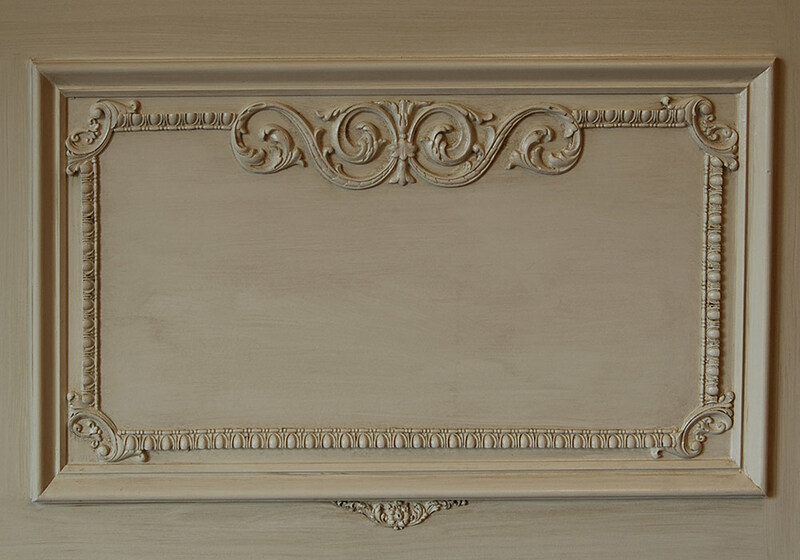 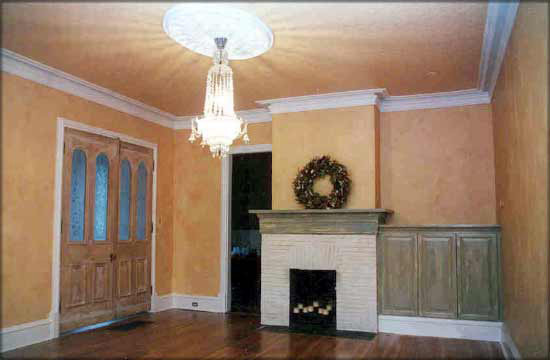 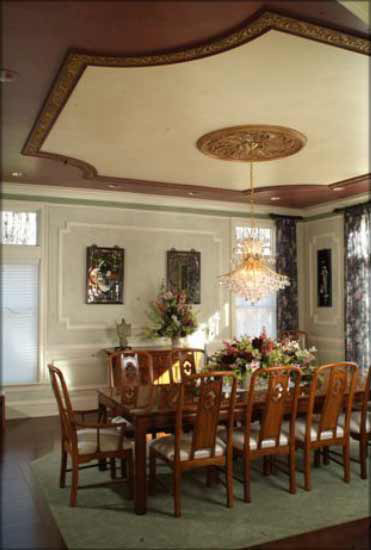 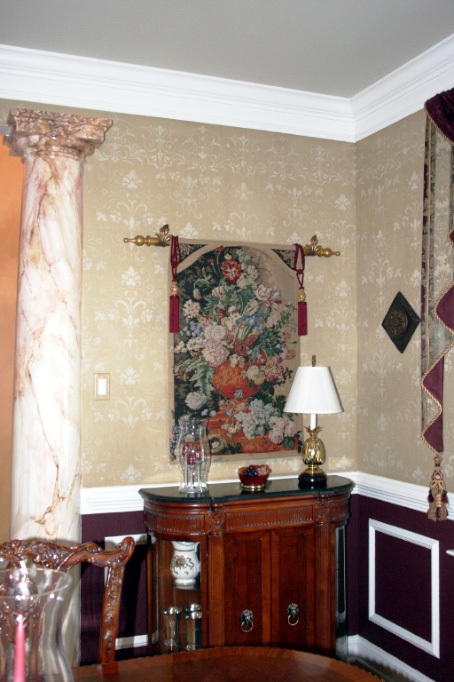 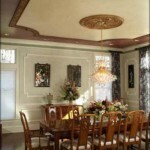 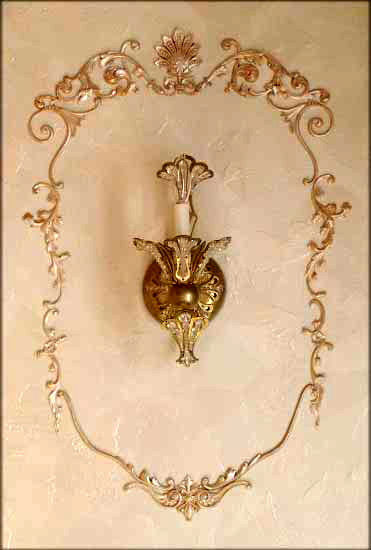 Ornamental moldings are made of hide glue molded from hand carvings from as far back as the 1800s, then steamed and applied to furniture, used to create wall panels or to bolster the decorative elements around sconces or chandeliers. 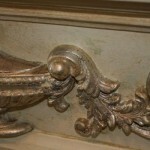 These design embellishments are found in the palaces, public buildings, and estates around the world (i.e. 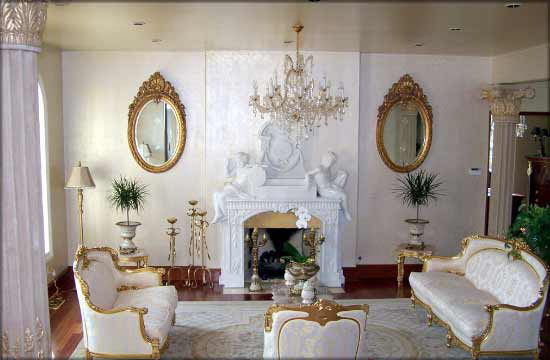 : Palace of Versailles, Capitol buildings…) and can be gilded, treated in mica powders, marbled or whatever works best for the area being decorated. 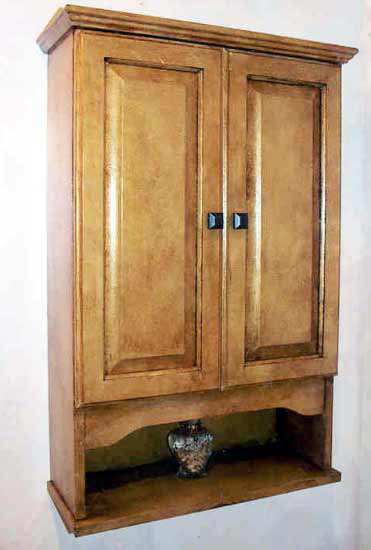 In this gallery there are many examples of these finishes but only touches onto the many choices available for your needs. 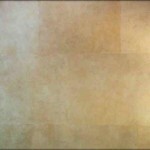 Faux Parchment – warm toned, slightly textured finish simulating sheep skin and can be applied all over or in what looks like sheets no larger than 3 feet by 3 feet. 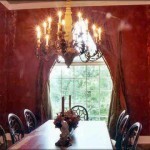 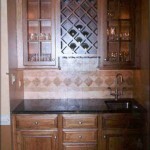 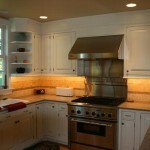 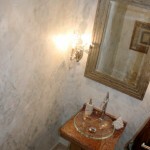 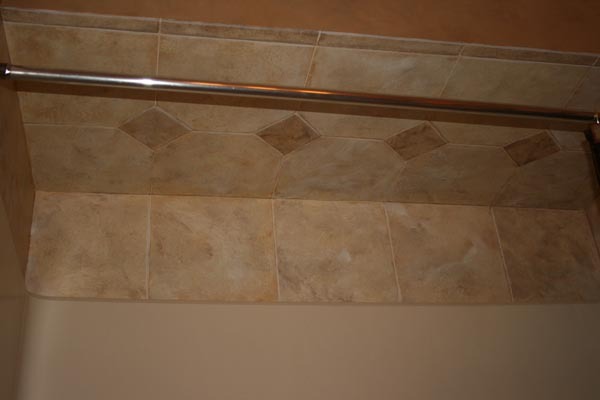 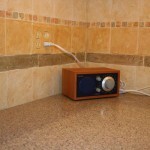 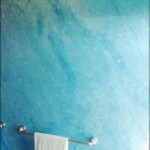 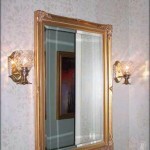 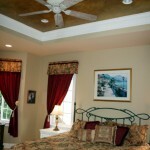 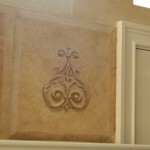 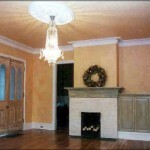 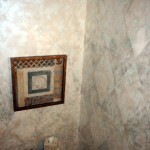 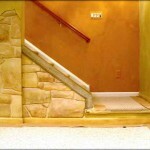 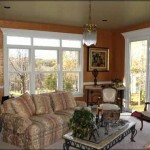 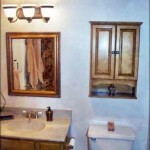 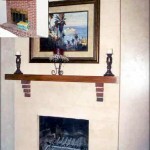 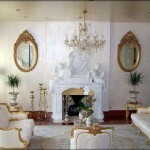 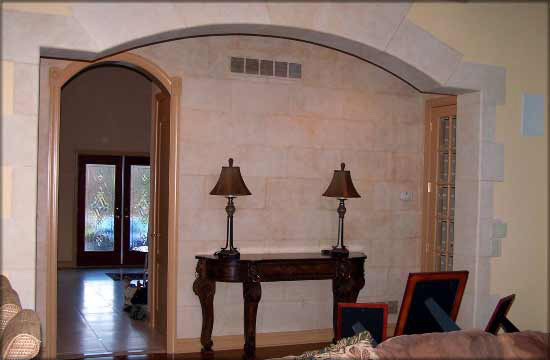 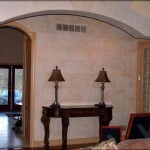 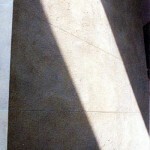 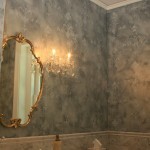 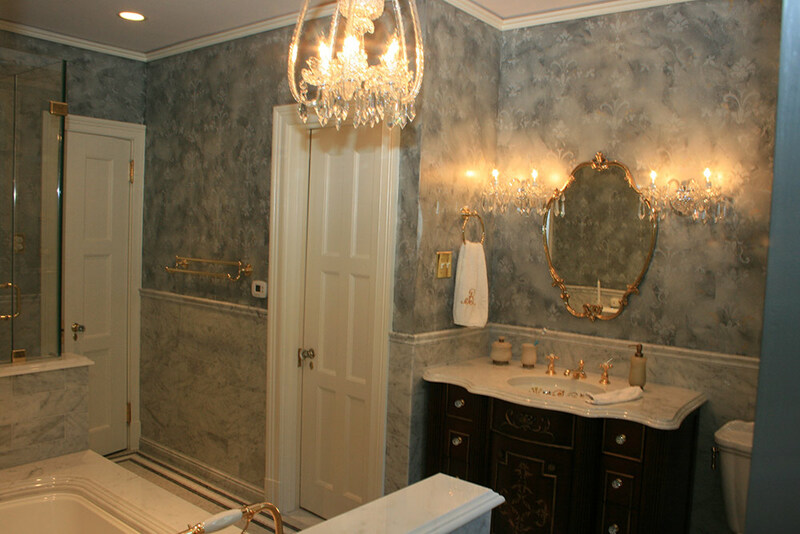 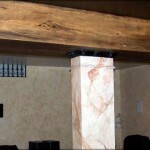 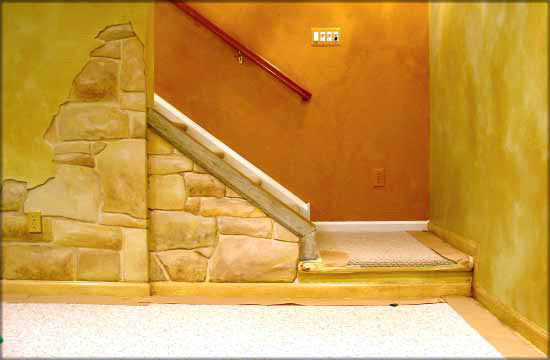 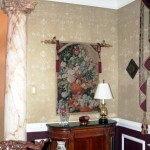 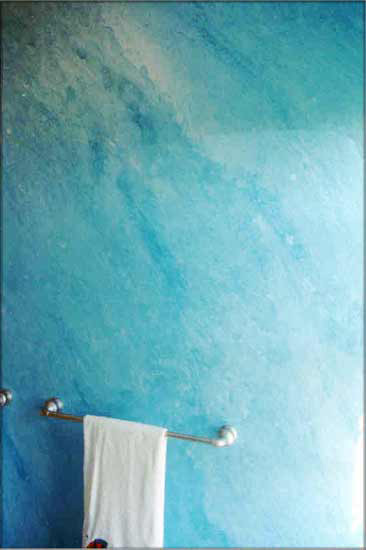 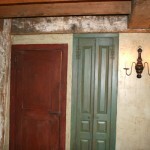 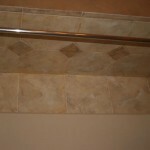 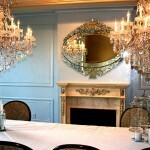 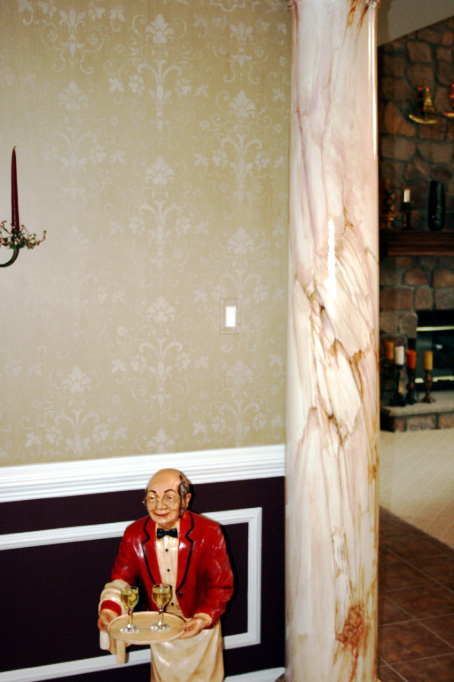 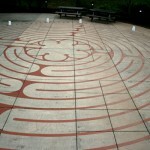 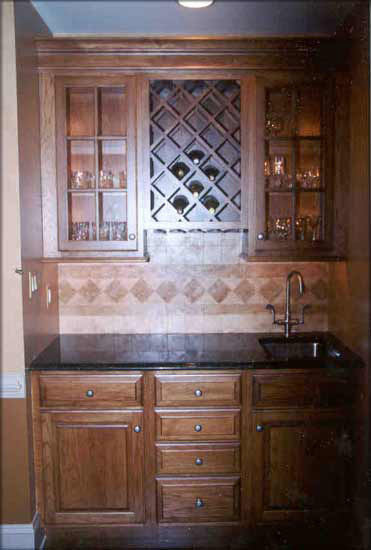 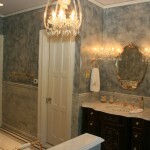 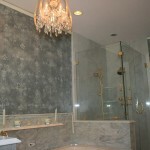 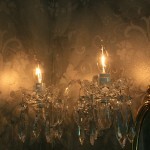 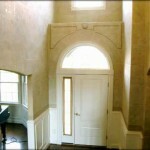 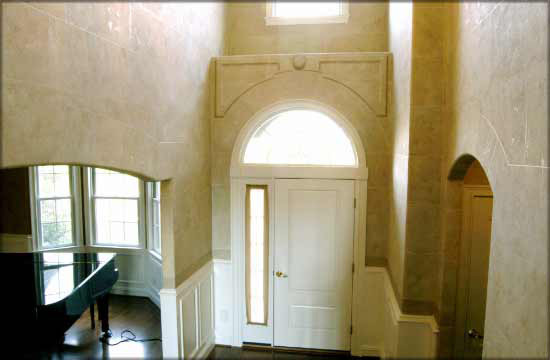 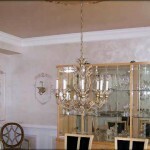 Faux marble- makes a statement in your Bucks County, Montgomery County or Delaware County, PA home or office. 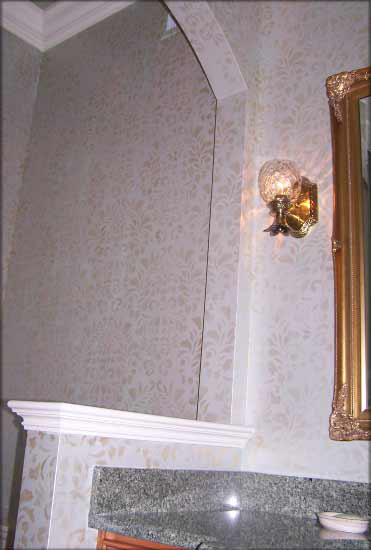 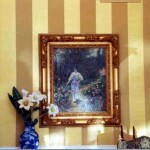 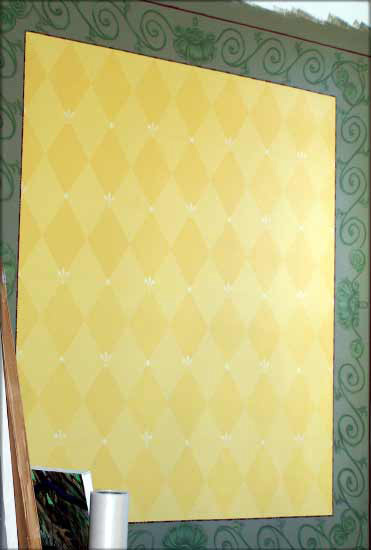 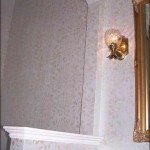 Plasters – there are numerous textures and plasters which have many uses in decoration one being a great way hide imperfect walls which had wallpaper removed. 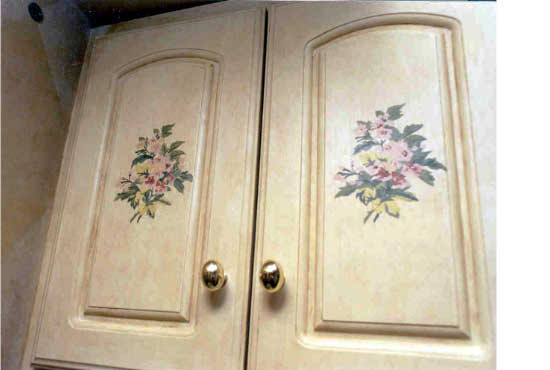 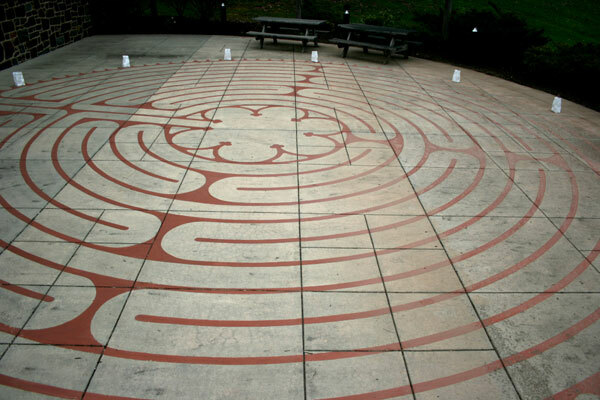 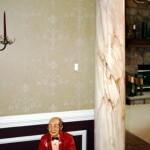 In some, the texture is troweled on, painted then color washed and over glazed. 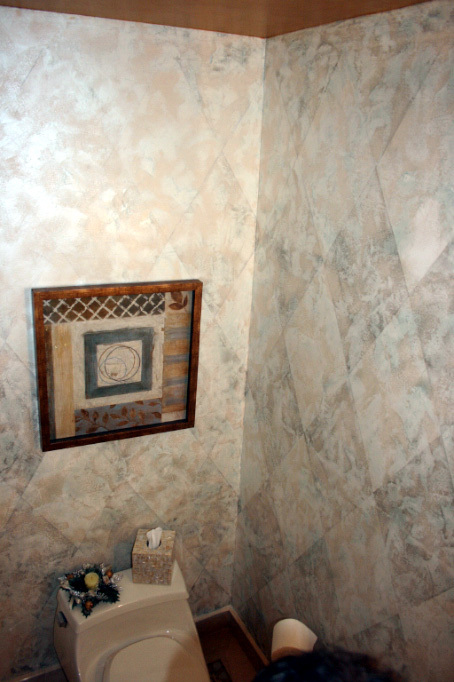 Other textures like Marmarino and Terra involve tinting the material before troweling and sometimes adding dry pigment colors over the finish. 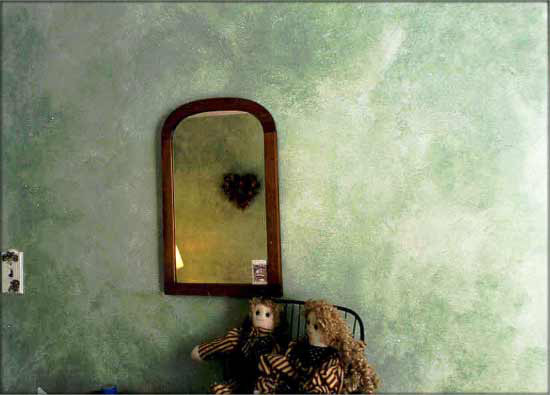 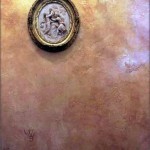 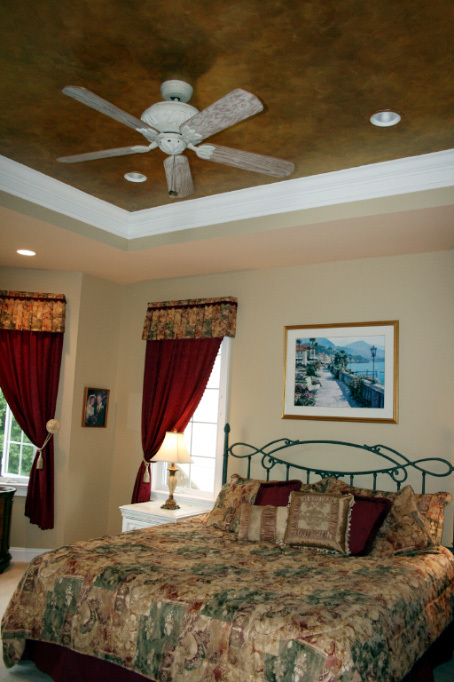 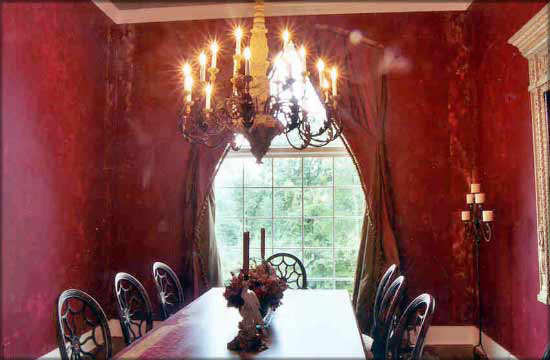 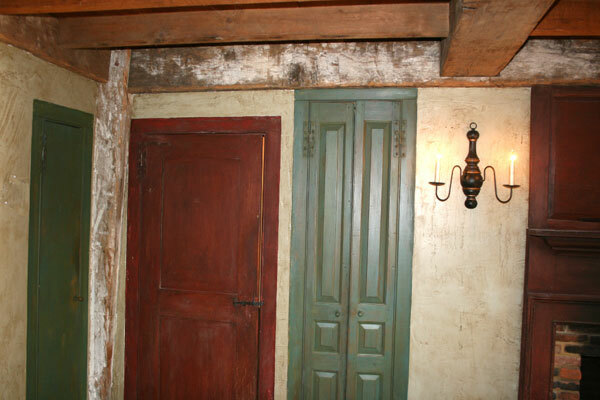 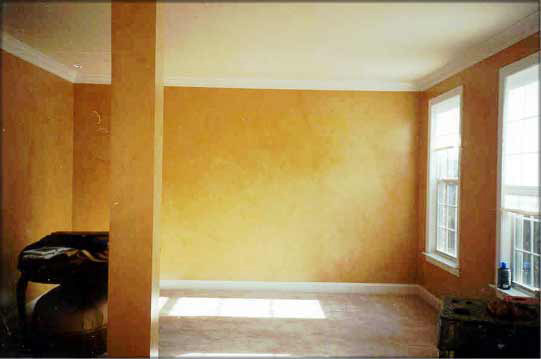 Venetian Plaster- Dating back to at Pompeii, and before the invention of paint, pigmented wax was applied to plaster walls with hot irons, melting one color layer into the next and leaving a very smooth but visually textured surface. 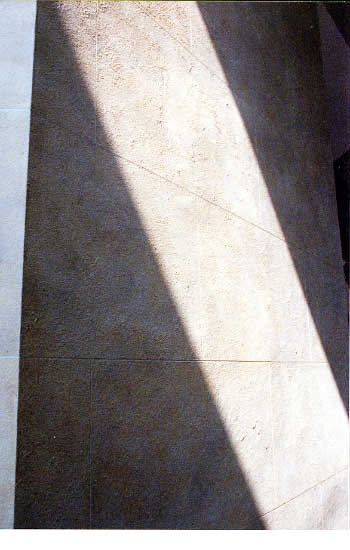 Modern materials try to simulate this finish but some fall short when they are to opaque since the beauty of the finish is to see into the layers much like Alabaster marble. 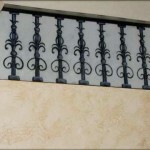 The process takes a lot of elbow grease in that the material is burnished with stainless steel blades or wet sanded with 1000 grit sandpaper to get a high gloss extremely smooth surface. 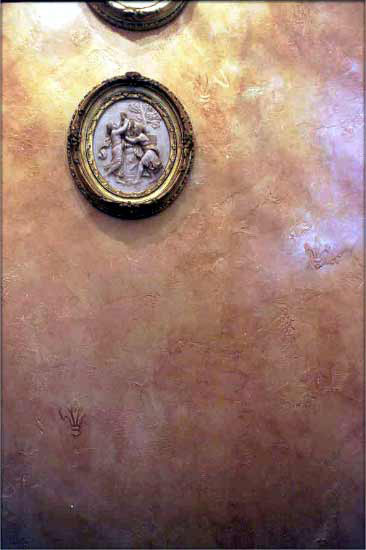 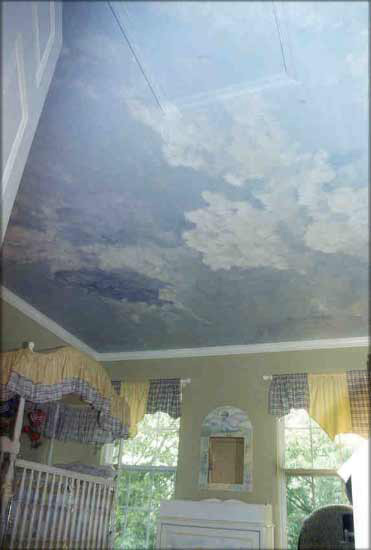 The surface could achieve this with an application of wax also but wax is not going to be a paintable surface in the future should one change their décor at a later date. 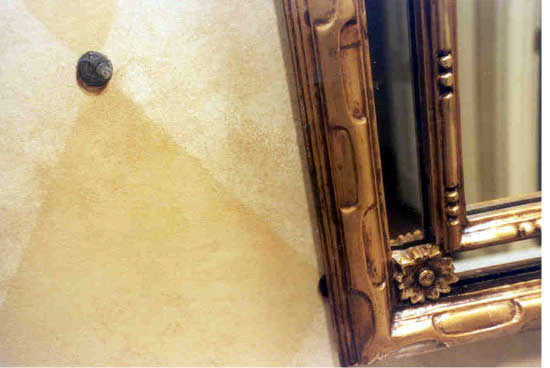 Venetian Gem, Bellissimo, Luster Stone and Venetiano – These are all trowleled finishes which have a smooth finish but different appearances, all beautiful. 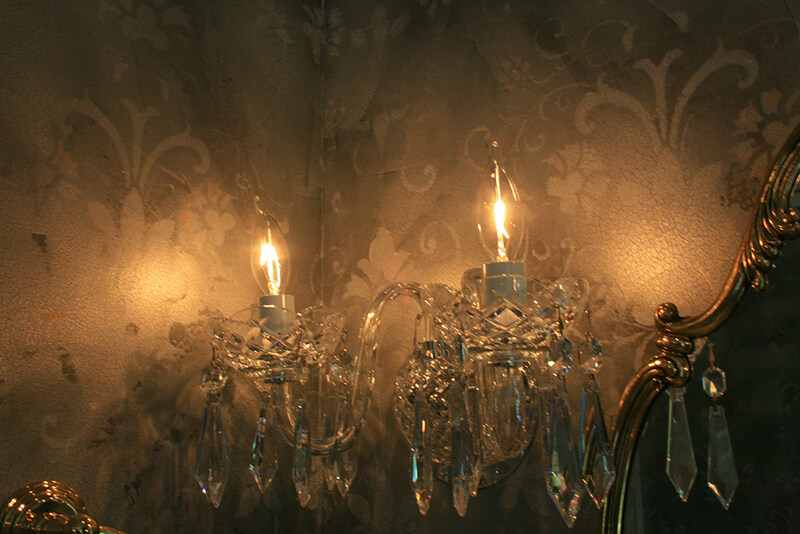 It is best to see actual samples of these to appreciate their beauty as photos can’t quite capture their elegance. 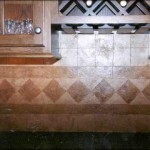 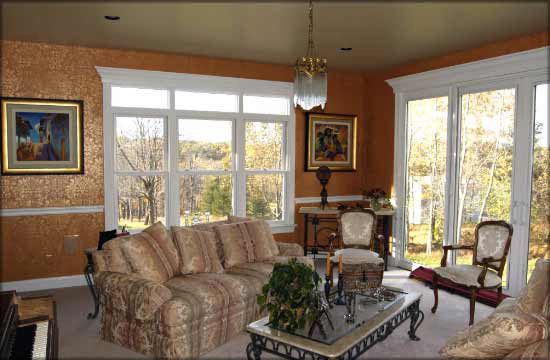 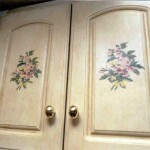 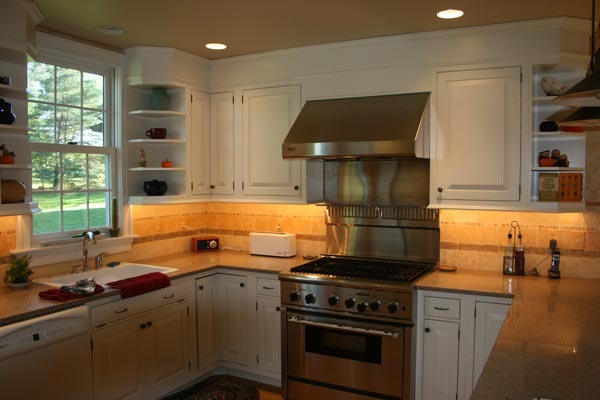 Mottle Overglaze – Also known as glazing, broken color or mottled finish. 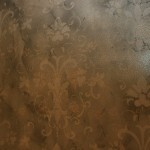 This is the application of a tinted glaze manipulated over a base color which shows through from underneath the glaze. 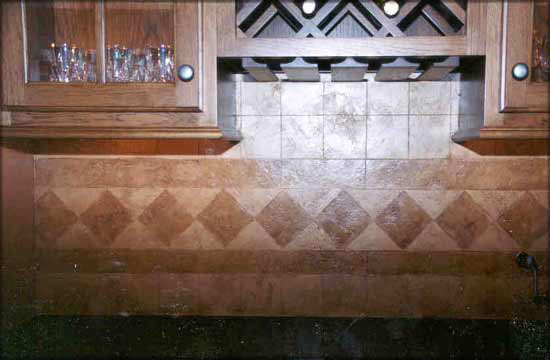 Generally a mottled overglaze is an even finish but can be made more uneven for a patina feel, or old world finish. 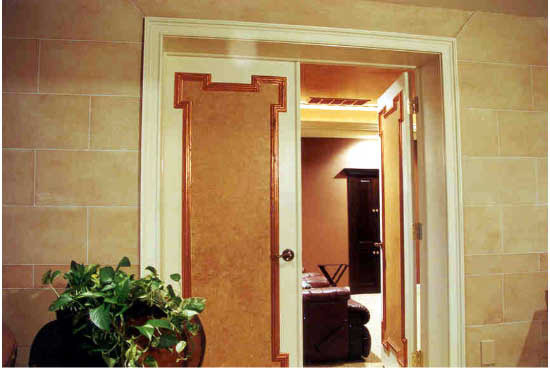 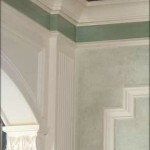 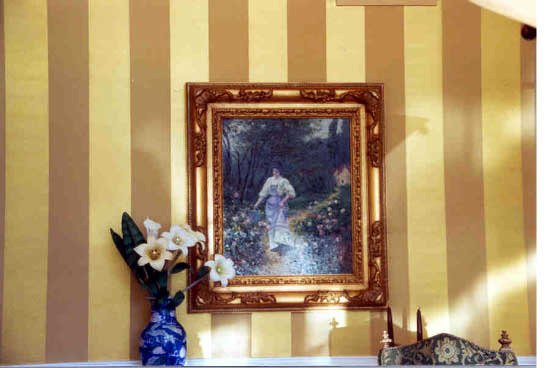 Ornamentation or Composition Ornament – We co-ordinate with your décor to design wall panels, ceiling decoration or even apply ornament to existing marble walls and furniture to transform from the plain to the ornate. 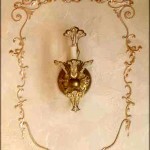 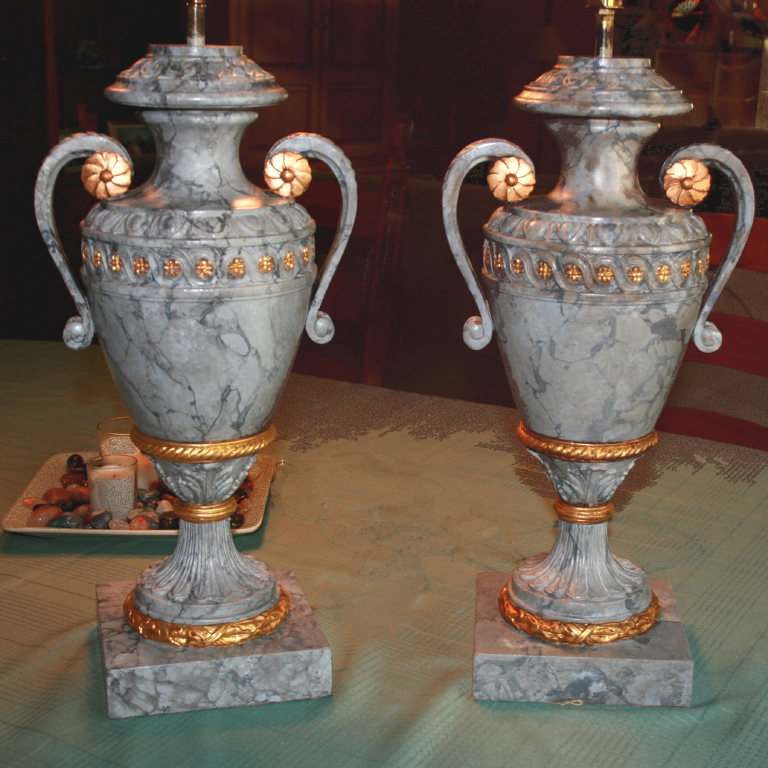 We have volumes of ornament to choose from and will meet with you with designs. 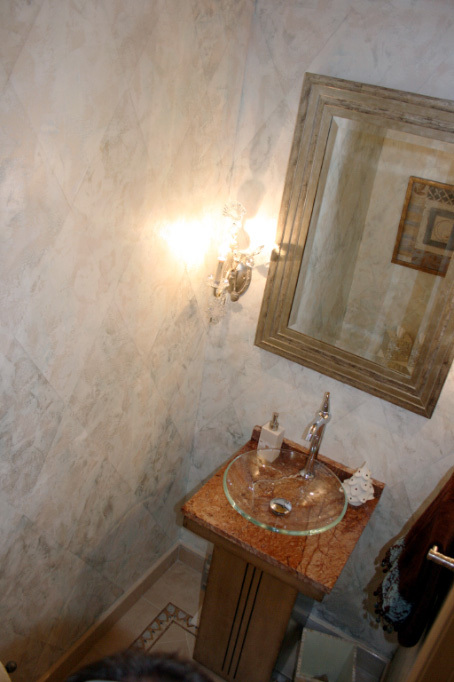 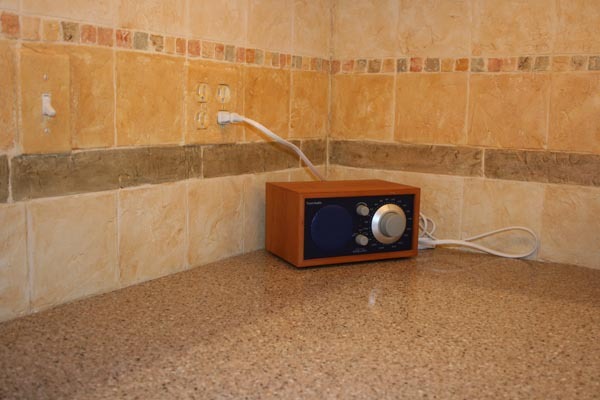 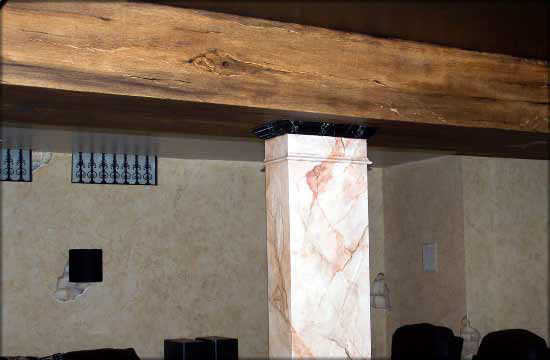 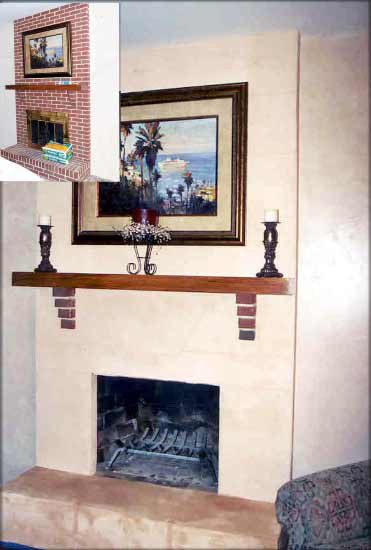 Faux finishes, including faux marble and faux parchment are a great, affordable way to add the finishing touches to your Delaware County, Bucks County or Montgomery County, Pennsylvania home, office or restaurant. 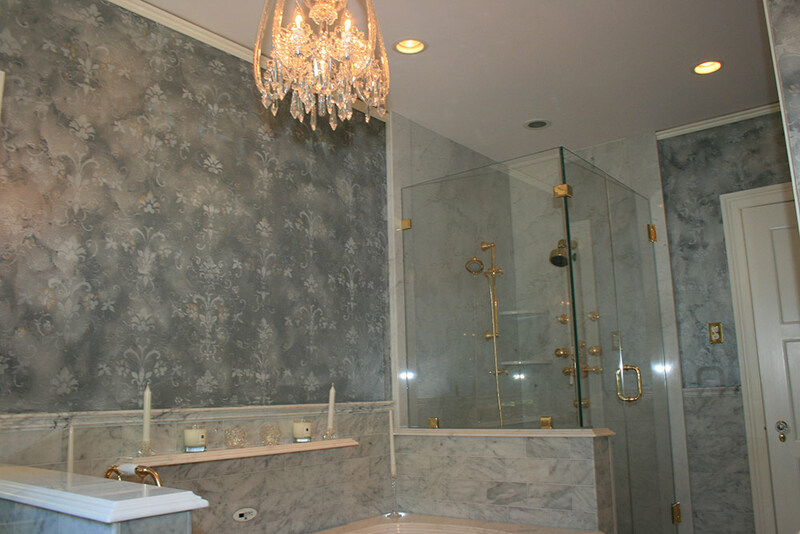 If you are interested in faux finishes, faux marble or even plasters for your Montgomery County, Bucks County or Delaware County, PA property, please contact us today.